On June 13, 2012, North Texas residents were pelted by a hailstorm which is estimated to eventually cost insurers a record $2 billion in insured losses. The previous hail damage record within the State of Texas was $1.1 billion caused by the 1995 Fort Worth Mayfest Storm. For months after the 2012 storm, residents in the hardest hit areas found themselves pelted once more by more roofing contractor advertising than they had ever seen. Each ad had its own unique leading pitch. Some promoted their “66 years of experience.” Others promoted their “lifetime warranty.” A riskier few skirted the line of insurance fraud by touting “Free Roofs-Call For Details” and “Ask Us How Your Deductible is Covered.” The practice is called “deductible assistance” by some and “deductible fraud” by others. Depending on who you ask, the practice is illegal or, at best, deceptive. 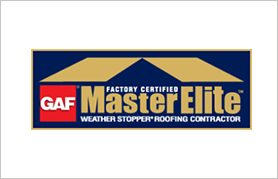 This point is highly debated within the roofing industry and rarely complained about by the consumers that might financially benefit in the short term. It is believed that soaring homeowner’s insurance deductibles may play a significant role in the popularity and prevalence of such programs in recent years. According to the Wall Street Journal, Texas homeowners pay the highest insurance premiums in the country, and in the last few years, wind and hail damage deductible have shown a dramatic increase as well. This increase came with a deductible model change which switched from monetary-based deductibles to percentage-based deductibles. Specifically, many homeowners recently found that their wind and hail deductibles which may have been as low as $500 was replaced with a new deductible between 1% and 5% of the value of their home. On a $250,000 home, that could account for a massive increase. 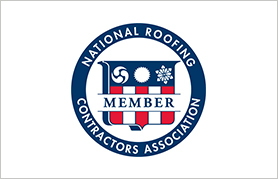 As it is one of the BBB’s primary missions to set standards which promote marketplace trust, this investigation’s purpose is to understand the current functioning model of deductible assistance programs used by roofing contractors in North Texas, as well as identify the regulatory challenges and criticisms. 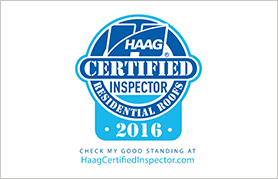 Roofing Deductible For the purpose of this investigation, the term “deductible” refers to the agreement in which an insured home owner consents to share the financial responsibility of a contractually-agreed portion of a claimed loss. In the State of Texas, this amount is often expressed as a percentage of the value of the home. For example, a 1% roof deductible on a $150,000 home would be $1,500. Therefore, the consumer would share the cost of a roof loss for an amount of $1,500.The defined principle of an “insurance deductible” is that, by sharing the cost with the insured, insurers are able to reduce their overhead costs, which could result in lower monthly fees, or premiums, charged to their customers. The Sales Advantage For decades, some roofers have offered deductible assistance or reimbursement programs in an attempt to gain customers from competitors that would otherwise collect the owed deductible. These programs are offered to the detriment of both insurers that are over-charged, as described below, and competitors that feel the act of covering deductibles is unethical or illegal. Veiled Insurance Fraud? If a roofer charges a customer $8,500 and that customer, in return, bills their insurance company $10,000 with a fake receipt, that consumer can end up in hot water for insurance fraud. Simply put, the insurance company is over-charged by the customer. Noting the above scenario, the average consumer may have a general understanding of overt insurance fraud (i.e. the consumer financially gained an advantage by lying to their insurance company), and they may even agree that the fraud is unethical. However, deductible assistance programs are frequently convoluted enough to confuse even savvy consumers that participate in a scheme which usually results in a loss to the insurer, which is identical to the overt insurance fraud described above. Advertising Reimbursement Scheme Although there are numerous variations of deductible assistance programs, the most common reported in the Dallas area is the “advertising reimbursement” model. 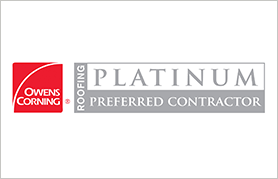 In the advertising reimbursement model, a roofing contractor will bill the consumer for the full replacement value cost (RVC) of the roof, the maximum amount that the insurance company has agreed to pay, regardless of the actual replacement cost. 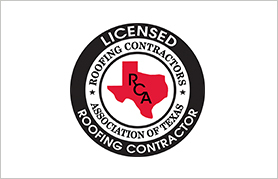 The roofer will then adjust the final price in an amount equivalent to the customer’s deductible by using a “change order form.” In return, the customer agrees to advertise for the roofing contractor by displaying a sign in their front yard. In the end, the customer doesn’t have to come out of pocket to pay their deductible, and the insurer will receive a bill which is higher than the actual cost to replace the roof. In short, the insurer foots the deductible costs. Purveyors of this model defend that the advertising agreement constitutes a second agreement and side-steps issues pertaining to insurance fraud. Though, in reality, the insurer is overcharged in the same spirit as a consumer that counterfeits a receipt. The only real difference is that, in the advertising reimbursement model, a consumer displays a $1 sign in their yard. The most frequent argument expressed by those that oppose deductible assistance programs is that the practice appears to be illegal. Section 27.02 of Texas’ Business & Commerce Code states, in part, that: (a) A person who sells goods or services commits an offense if: (1) the person advertises or promises to provide the good or service and to pay: (A) all or part of any applicable insurance deductible; or (B) a rebate in an amount equal to all or part of any applicable insurance deductible; However, in 1990, Texas Attorney General Jim Maddox provided an opinion which differentiates between a person advertising that they will “pay a deductible” and one who advertises that they will “waive a deductible.” Specifically, the opinion indicated that “declining to seek payment of all or part of the deductible is technically not the same as “pay[ing] all or part of any applicable insurance deductible.” The opinion does indicate that “waiving” a deductible is the type of transaction that comes under the spirit of the section and accomplishes the same as rebating the amount of the deductible. Nevertheless, a “technical” loophole exists. Roofers cannot advertise that they will pay or rebate an insured’s deductible, but waiving a deductible is not an offense under section 27.02. Identifying likely victims is an important step when considering the negative impact of a particular business model on the marketplace. It would be short-sighted to believe that insurance companies are the only true victims in deductible fraud schemes. The insurers may have the most immediate impact. However, in a simplified context, it is easy to understand that higher payout costs are eventually passed right back to the insured through increased premiums. Additionally, there are still roofing contractors that struggle to compete in a marketplace full of deductible assistance programs. So, those contractors that refuse to offer such deductible programs, based on the spirit of the law, can find themselves to be victims of the model as well. 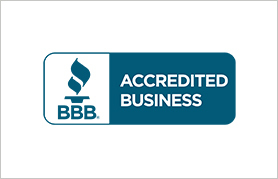 Although the BBB has been unable to find any recent regulatory action taken within the State of Texas against perpetrators of deductible assistance programs, the BBB recommends that roofing contractors and consumers alike exercise caution in participating in such programs. These programs walk along a very fuzzy line of insurance fraud, and neither roofer nor consumer would want to be held liable for such serious allegations.